Why might you need help? Premmies are likely to face extra developmental challenges and need their parents' efforts and dedication more than ever. At Raising Premmies we help parents achieve peak development in their prematurely-born children. Parents of premmies often also need some personal help following the challenges of an early birth and a sick baby. We provide psychology services for parents. What help might your child need? The fundamental skills that are needed for later school activities such as reading and maths, start developing right from the first year of life. We provide "just right" activities that match what is (or should be) developing at each age. These are protective programs to fill the most common cognitive gaps found in prematurely-born children. Most of these gaps are invisible to parents in the preschool years but cause serious difficulties later at school. The first years are most important but we can work with you and your child at any age. At Raising Premmies, we will teach you how to be the best parent of a premmie you can be - the rewards for your child will last a lifetime. We would love to help you. Call us for a chat or further information. 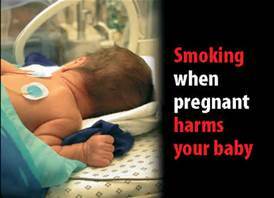 When a pregnant woman smokes, her newborn feels more pain.. There are many reasons to not smoke while pregnant. A very recent study found yet another one. When mothers smoke during pregnancy, their newborn baby feels pain more acutely. This study involved full-term babies, but if the results also apply to premmies, who have many painful procedures after they are born, the extra pain is felt over and over again.